I know, the whole ideal of business or marketers using social media is to promote their content and thus get more lead and probably conversions. But social media is not a marketplace to most uses, and thus they quickly leave or unlike and group and page that seems to be all business without being social. Thus, it is encourage that for business and marketers using the social media to advance their products and services, they should also share content that will give social media users the impression that their business is not antisocial. 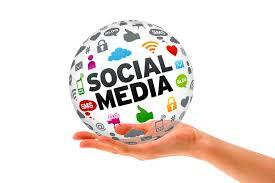 But this social content does not necessarily always have to be your business generated content. You should also share the content of others. Why? Because social marketing is not all about you. It is not all about getting your presence to people all the time, sharing the content of others in your niche will help you monitor your audience. For example, sharing other people's content will help you find out what engages your audience, what they want to learn, and what could be helpful to them, these insight will help you in turn to determine your own next content to share which will suite their needs and interest. Note though that you do not just need to share the content of other, share Relevant one, this will help your audience to brand as one who is knows what is happening in the niche and does care for them because you are not waiting for you to create similar content before you tell them about it. This will build trust in your audience and will make them look forward to your next post. The summary is this. When you share others people relevant content to your audience, you are giving them the impression that you are not all about your brand, and what your brand has to offer. You are telling them that, do not worry stick with me, because when I see something relevant, I will tell it to you even though it is not from my brand. This will build the trust your audience have on your brand. Local Seamstresses or Factory | Which Is Preferable When Starting Up Fashion Business.